Anyone that knows me knows that I am a big fan of going out to eat. Despite my best attempts, I know that I am an awful cook. For me, the idea of going out for dinner combines so many loves - food, friends, drink, fun...the list goes on. 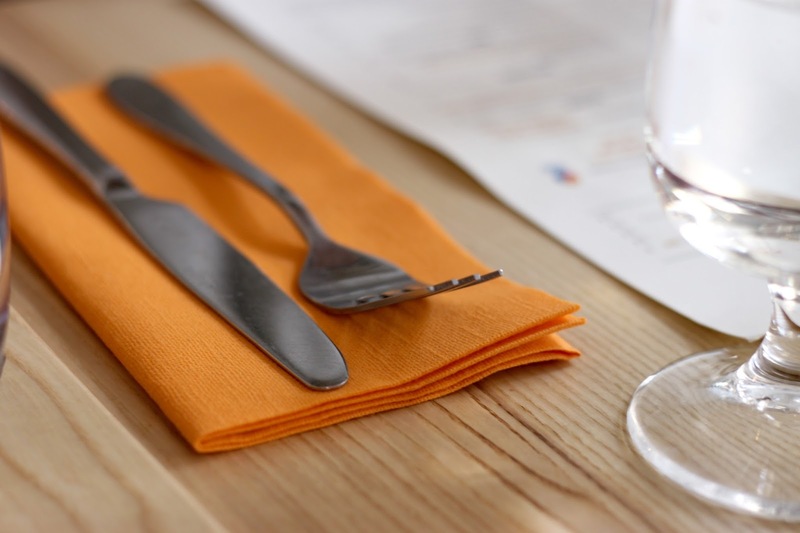 When you go to a restaurant that you feel comfortable in, you are able to leave the worries of the world at the door, and simply relax with friends or family. If a restaurant has dark lighting, or has no atmosphere, then often you feel uncomfortable and like you're the loudest in the room. 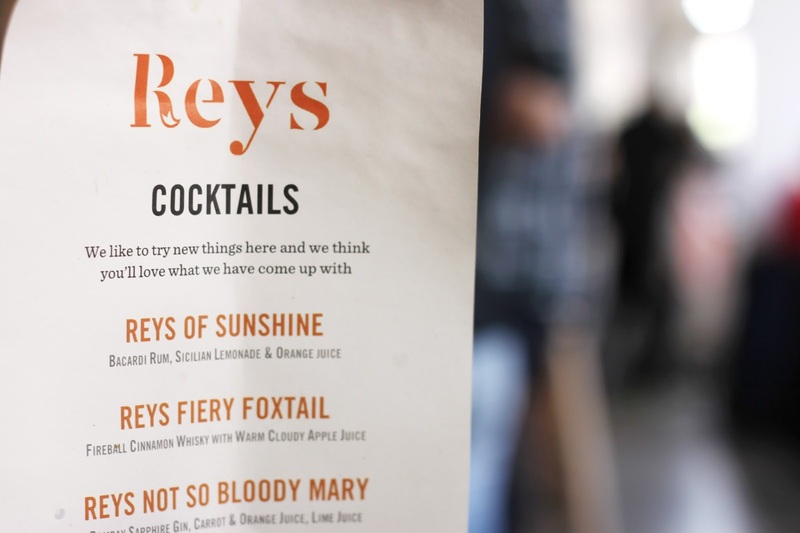 When Reys opened in Cambridge, you could see before you even walked in that they had put a huge amount of effort into making sure that it looked bright and airy, with gorgeous pops of copper and orange spread around. Reys concentrates on chicken, and a hell of a lot of chicken at that! They state that they want chicken to be the most loved food in the world, and they go about this by pairing their rotisserie chicken with a variety of exciting roasting sauces. I visited with my two good friends on a sunny Sunday afternoon and we were so excited to try their chicken. 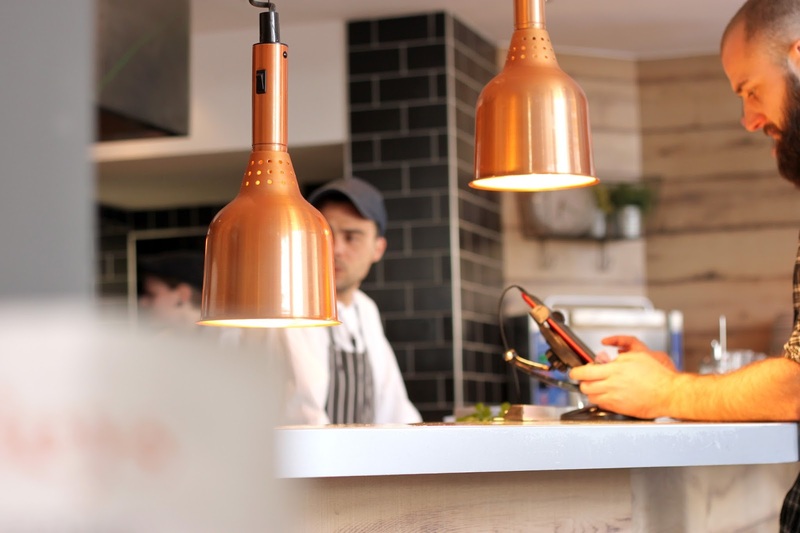 When you walk in you can see the chefs delicately preparing your meals behind the bar, and a huge wall of chicken being cooked in the rotisserie ovens. Enough to make you drool with hunger! The staff were so lovely and took the time to go through each meal on the menu and explain what it was. 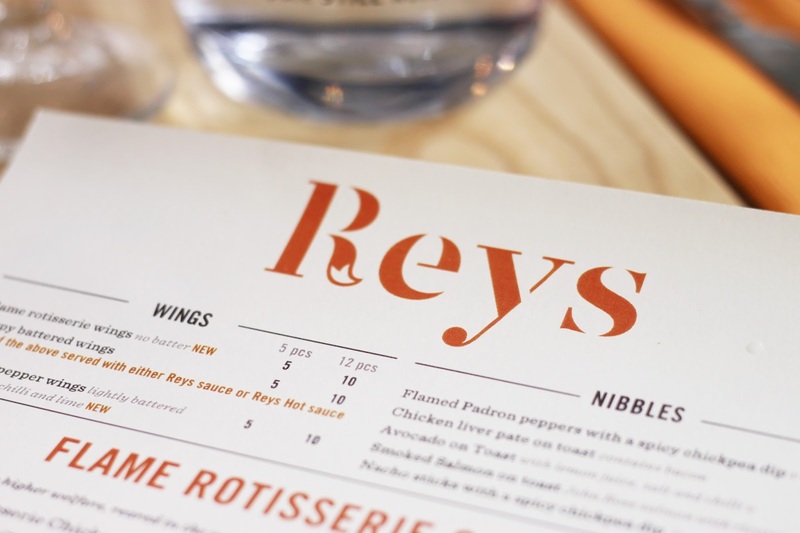 I am awful at making decisions when we go out to eat because I never want to make a mistake, so I was really pleased to see that Reys have decided to offer a smaller menu concentrating on their key dishes. The manager said that this is also because they want to cater to their customers needs, and to be able to do this, they need to be flexible! They will take all comments into consideration and I loved that. Who knows, my chicken based ideas may be on their menu soon! I went for a pulled chicken brioche bun with a slaw topping and with the first bite I knew I hadn't make a mistake with this choice. Often when you eat burgers, you feel so sluggish and full afterwards, but that wasn't the case with this. 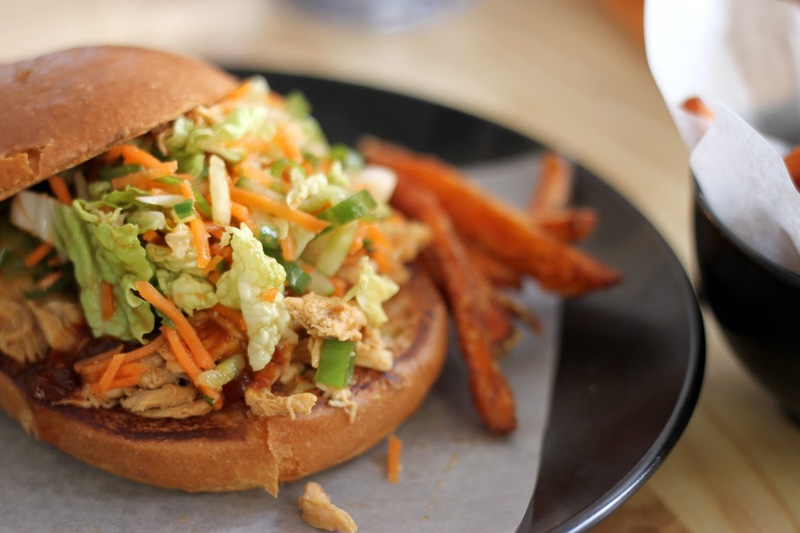 The bun was light, the chicken was succulent and flavoursome, and the slaw complimented the Reys sauce perfectly. As soon as I saw that they had sweet potato fries on the menu, I couldn't not order them. You really can't go wrong with some sweet potato and Reys didn't disappoint. It was a very busy afternoon so the food took a little longer than we had hoped, but the staff more than made up for it by coming over and checking if we were okay and apologising profusely. I think that good service goes a long way, and we were absolutely fine with waiting with our drinks as the sun shone in on us during our catch up. 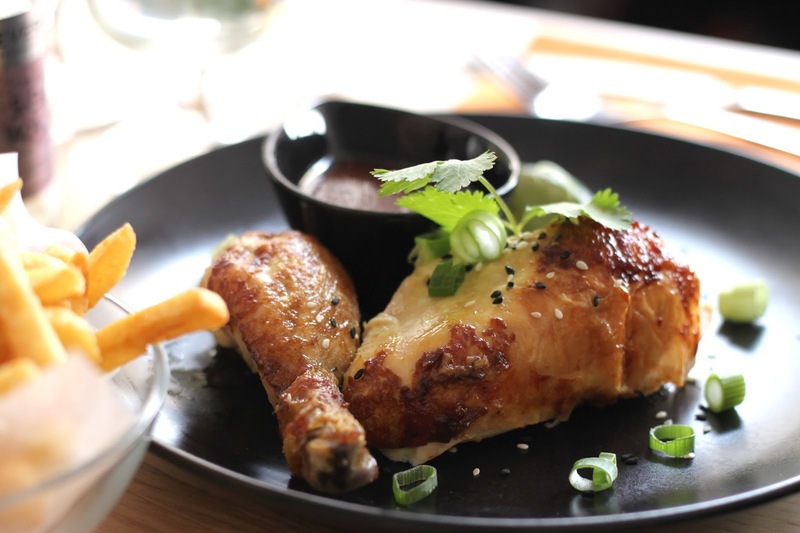 If you're ever in Cambridge, head to Corn Exchange Street and pop into Reys for a chicken feast. If you decide to visit Reys then do let me know as I'd love to know what you think!